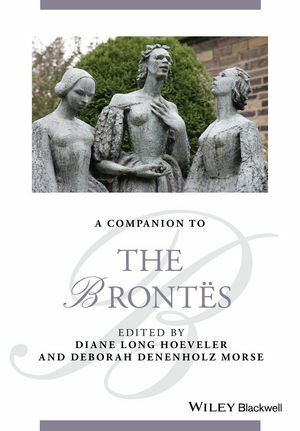 A Companion to the Brontës brings the latest literary research and theory to bear on the life, work, and legacy of the Brontë family. Diane Long Hoeveler is Emerita Professor of English at Marquette University, Milwaukee, Wisconsin. She is author most recently of the award-winning books The Gothic Ideology: Religious Hysteria and Anti-Catholicism in British Popular Fiction, 1770–1870 (2014), and Gothic Riffs: Secularizing the Uncanny in the European Imaginary, 1780–1820 (2010). She is author, co-author or editor of over a dozen scholarly and reference books, and some 65 articles on a variety of literary topics. Deborah Denenholz Morse is the Vera W. Barkley Term Professor of English, inaugural Fellow of the Center for the Liberal Arts, and Plumeri Faculty Excellence Scholar at The College of William and Mary. She is author most recently of Reforming Trollope: Race, Gender, and Englishness in the Novels of Anthony Trollope (2013) as well as author and editor of a number of other books. She has published extensively on all three Brontë sisters, and on other women writers from the Victorian era to the present day.